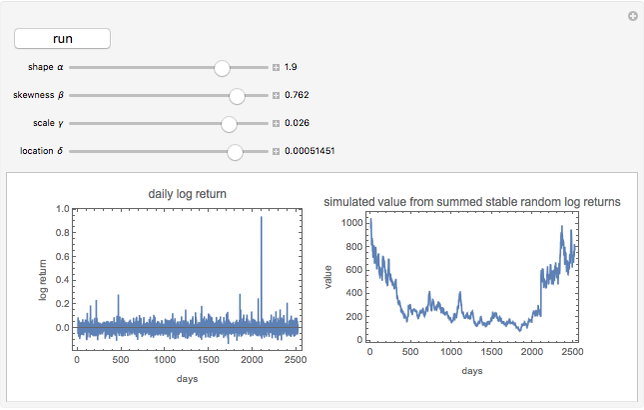 The stable distribution random number generator is preset in ranges that can be used to simulate logarithmic returns and financial market prices. The starting value is 1000. The Demonstration should be run a number of times for each parameter setting to get an idea of what Mandelbrot describes as the "wildness" of stable distributions. is the distribution shape parameter, with range 1.5 to 2; at 2 the result is the normal distribution. The parameter is the tail exponent of the distribution; lower values give fatter tails. is the skewness parameter, with range -1 to 1.
is the scale parameter. The range is set to be typical of stable fits to daily stock market returns. 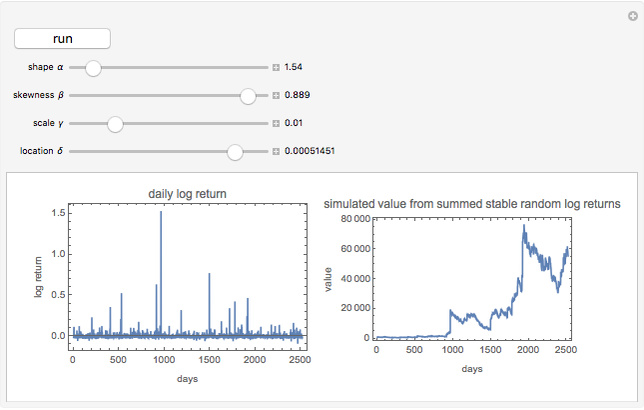 is the location parameter, which gives the expectation of the daily log return for the distribution. 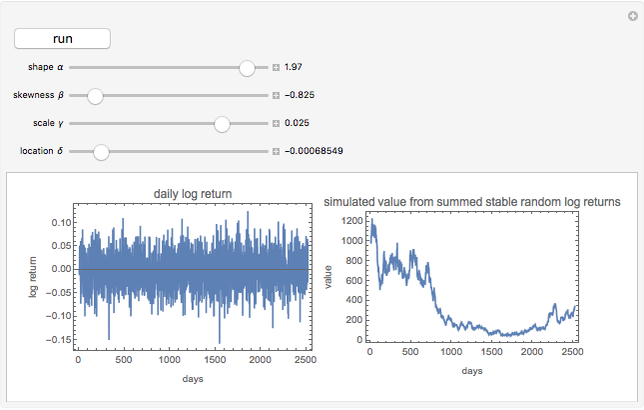 Bob Rimmer "Stock Price Simulation Using Stable Random Variables"